Swing Design, Oracal, and Silhouette have teamed up to bring you this amazing bundle. You get it all!! The Curio machine, Oracal vinyl, and a lot of Curio designed accessories! Please see the bullet points for the whole lot included. Curio: Introducing the Silhouette Curio by the makers of the Cameo. This machine is more than a cutting tool. 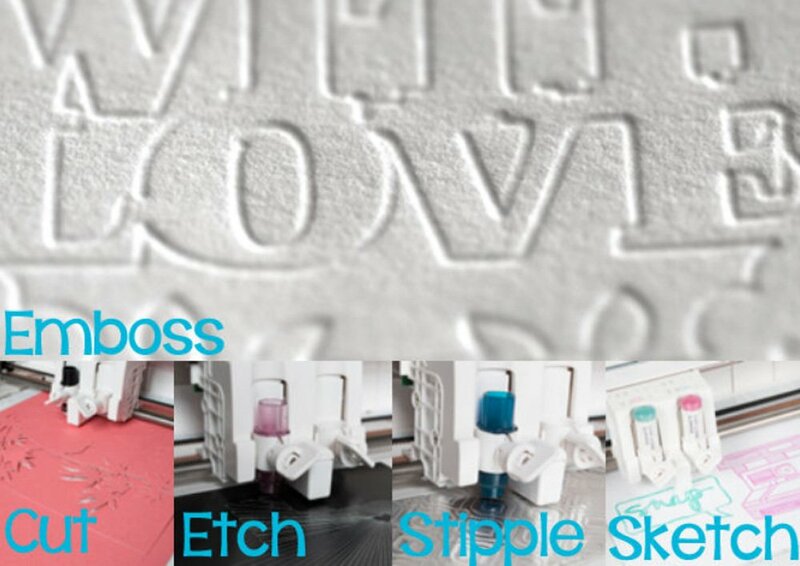 It can cut, emboss, sketch, stipple, etch and so a lot more! 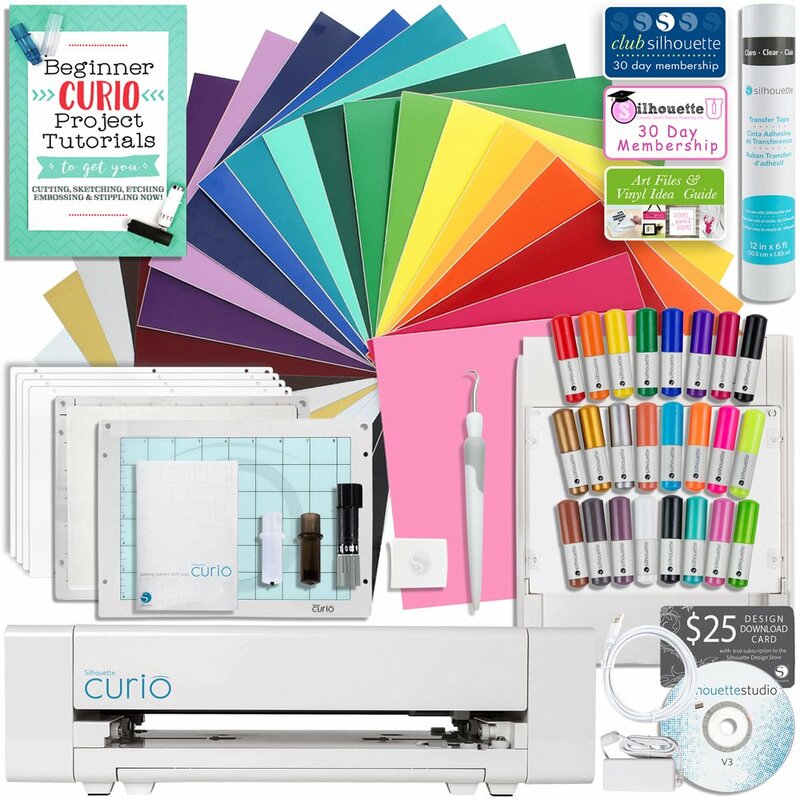 The Silhouette Curio is taking the crafting world by storm with its new features. 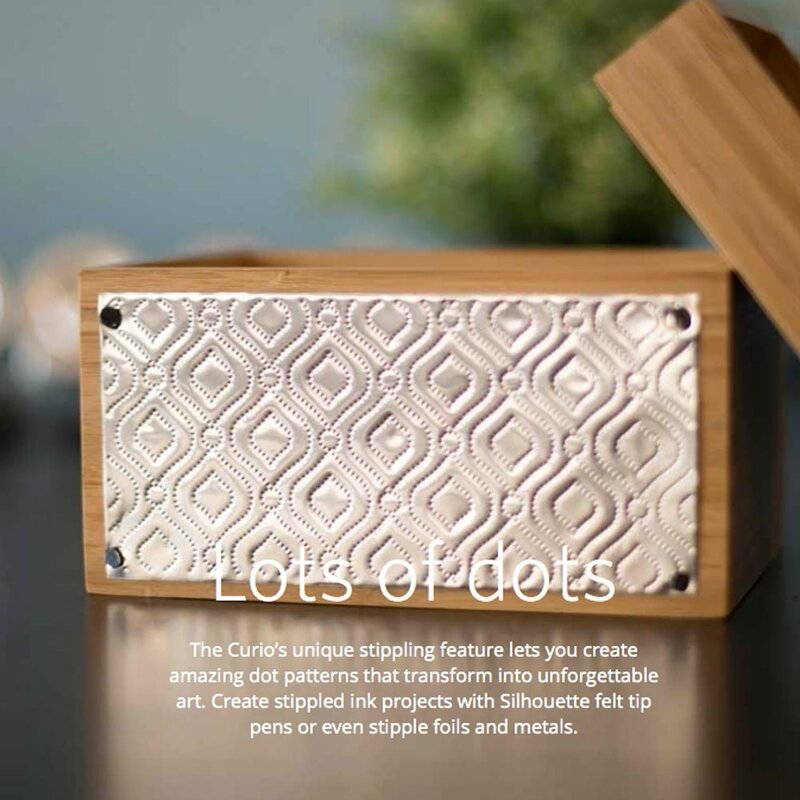 The Curio machine’s new functions include stippling, etching, in addition to three methods of embossing! You’ll now Path emboss, Score and Emboss, and Print and Emboss. 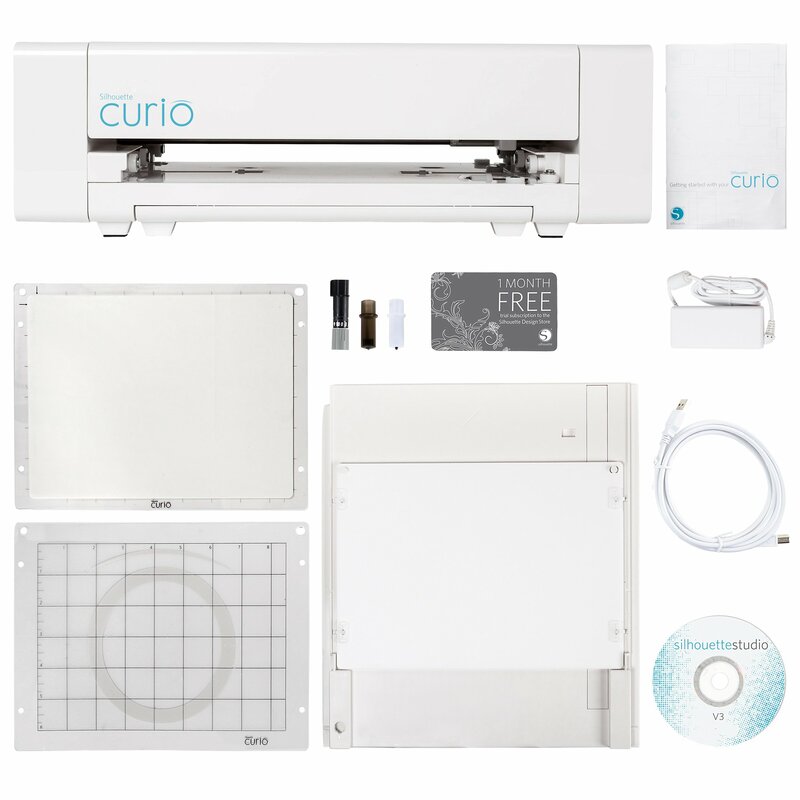 The Silhouette Curio also has a dual carriage allowing you to emboss and perform other actions like sketching or cutting all on the same time! 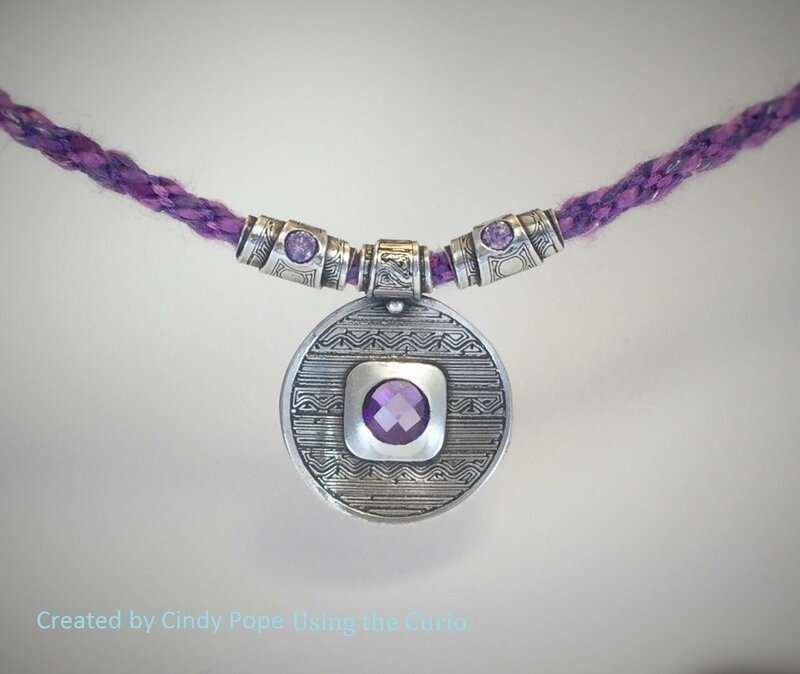 The Curio, now cuts thicker material. With the new deep cut blade, You’ll cut up to 2mm thick materials and with a 5 mm clearance You’ll also feed thicker material through the Curio machine. Each and every design in your Silhouette library can now be repurposed for embossing, stippling, and etching projects.